His name will resonate loudly amongst Australian Hot Rod enthusiasts. The man is a legend after all and with such a roaring passion for the unique vehicles, it seems fitting that the bloke who made street rodding famous in this country shares his name with his passion. I am of course talking about Rod Hadfield. 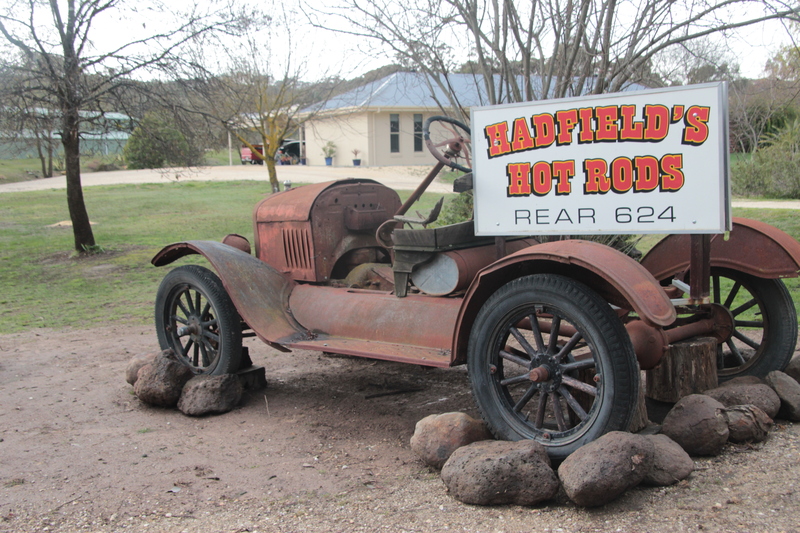 Hadfield’s Hot Rods is a fantastic place to visit for those interested in the history of Hot Rods in Australia. During a time when Hot Rods were beginning to gain popularity in the country, many shied away from the fact that they had an interest in the machines. Rod was a little bit different though – he embraced the culture and was deservedly proud of what he was doing. He showed the people what he could do to cars and his name quickly gained momentum in the industry. People stood up and began to take an avid interest. There was a focus on Hot Rods before he came but not to the same degree. Rod explained that Ford dealers did really well in and around Castlemaine areas and there were plenty of cars on the streets – every person owned one which put it a rung above other rural areas in the country. “I really pushed for people to embrace the Hot Rods and was the first to put up a sign to say ‘I’m open, come in’. Prior to that people were almost ashamed to admit that they were Hot Rod enthusiasts. Plenty of work was undertaken in people’s backyards away from the public eye,” Rod says. 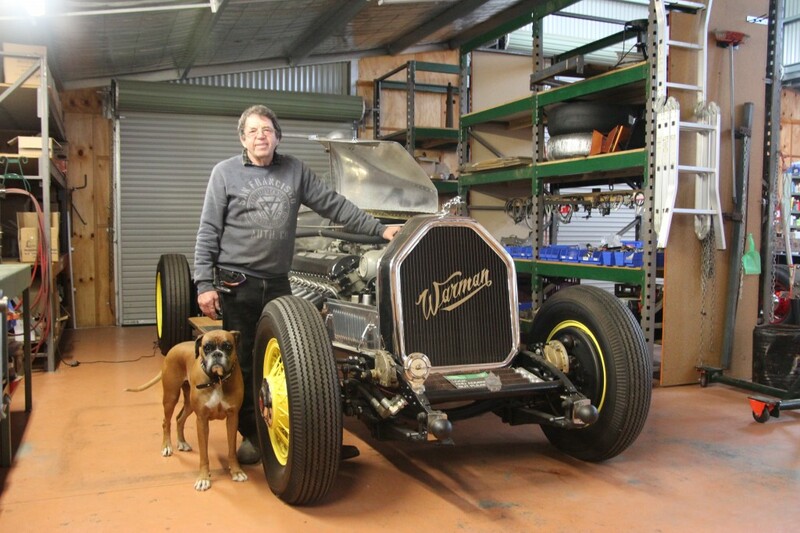 There are approximately 200 people employed in the Castlemaine area thanks to the Hot Rod industry. While this is quite a large number when you consider the amount of people that live there – it isn’t as impressive as it once was. People have either retired, passed away or lost interest. Unfortunately some had to move into other areas to find more permanent employment. “Castlemaine was once the only area where Hot Rod shops could be found but now they have popped up in a number of rural areas. People in the surrounding towns noticed what was happening here and jumped on the bandwagon by setting up their own Hot Rod related businesses. “Eddie Ford and a few other guys from the area went up to America around ’62 and saw what was going on and brought the information back and started their own magazine. As a 16 year old I was quite impressionable and hitchhiked to Castlemaine. I saw Eddie building a Hot Rod and I was blown away.” The passion grew into an obsession from here on in. “I eventually moved to Castlemaine because of the magazines. There were 12 dedicated Hot Rod magazines that were all edited and printed in the area. Before I knew it, I was feeding the magazines with photos and information and they were feeding the public. They came in droves because someone was prepared to do it for them – prior to that the garages wouldn’t take on such modifications. Rod Hadfield and his Warman. Three major machine shops started to supply Rod. His team simply couldn’t keep up with demand. The success of the Castlemaine Rod Shop saw a flow on effect to other businesses in the area. Mechanics were thriving as there was a growing need for them to service the Hot Rods that Rod’s team built for people. It’s easy to see why he is so well respected; not only in Castlemaine but around the country. “If it were still going today I would hate to think where it might have ended up – I would be a nervous wreck,” Rod says with a wry grin on his face. The man wasn’t always a Hot Rod builder though. Once upon a time he was a dairy farmer at Stanhope where he found himself working on the farm’s ute in his spare time. His efforts saw the ute doing things that other people needed an F100 to do. Friends and family took advantage of his expertise and asked him to work on their cars. Some people are just born to do it. These days Rod is semi-retired and can be found in his shed working on custom grills and drop axles. He also drives taxis and the local school bus on a part-time basis. I think it’s fair to say he’ll never stray far from cars. His shed is a sight to behold. “It’s a custom built shed that we built ourselves over the space of 12 months. You can’t buy something like this, you have to make it,” Rod explains. The entrance is graced with the largest root beer collection in the southern hemisphere. Bottles have been sourced from around the world since the goldrush days and Rod can’t get enough of the stuff – apart from a couple of new ones coming out of Asia. He explains that they haven’t quite got the right recipe yet. Visual candy for rev heads. The future of the Hot Rod industry is important to Rod, just as it is to Castlemaine and the people that live there. Preservation of its rich history is paramount. 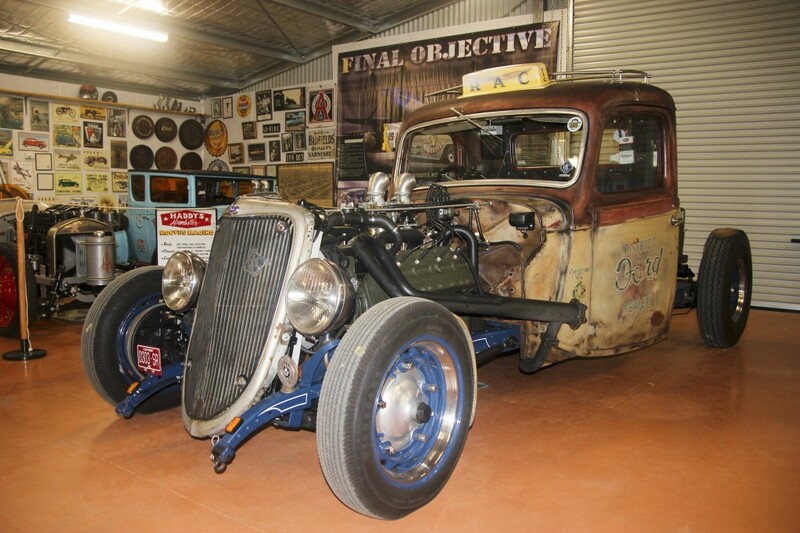 In 2004 an idea was hatched that was to become the Castlemaine Hot Rod Centre. 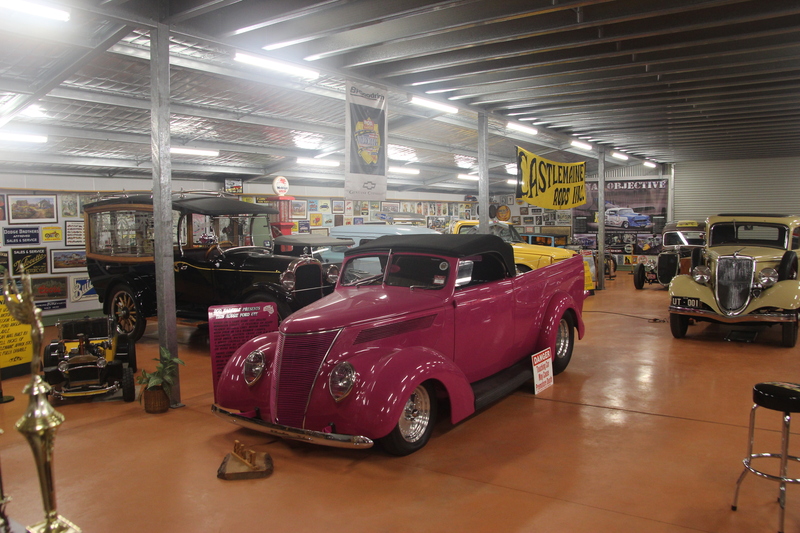 The Hot Rod Centre is a not-for-profit enterprise set up to protect and preserve the history of Hot Rods. They actively promote street rodding and want the next generation to get involved. 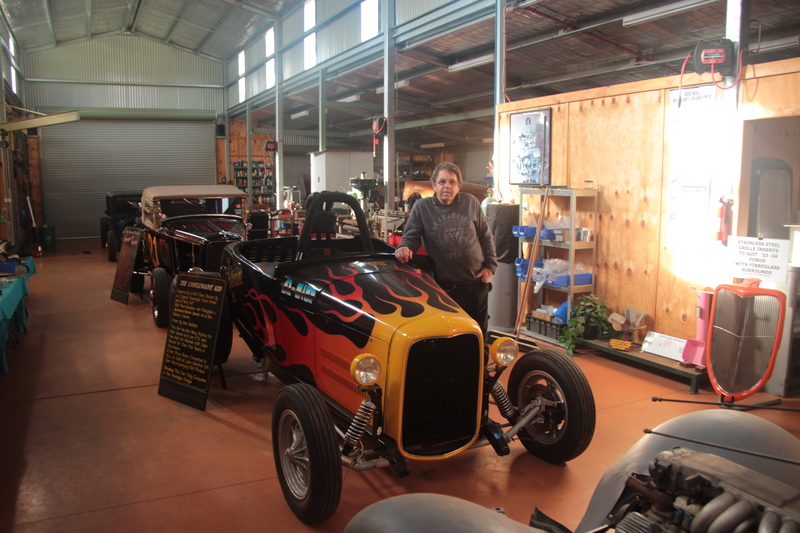 A Hot Rod was donated to the Castlemaine Secondary College for the students to work on. It not only ignites the passion but also demonstrates the intricacies of how such vehicles are built. Students are enjoying the program and it has even inspired some potential drop outs to continue studying. “The main thing is to get kids interested as there is nobody else to show them,” says Rod. “Funding for the centre comes in through the local bank (Bendigo Bank). When people open new accounts and have their accounts tagged to the Castlemaine Rod Centre, we receive a small proportion of their bank fees. It’s a great initiative and it is working well. A lot of major players like VHRA and ASRF have also seen the benefit and are now doing their bit to help. We also attract a lot of visitors from interstate but it’s hard to convince them to sign up and help out. It doesn’t actually cost them anything. Their bank fees simply go to a better place. “I don’t think Hot Rods will ever die out in Castlemaine. We have a group of dedicated young people in the area that are interested and that’s the main thing.” With people like Rod steering the initiative it appears as though the future of Hot Rodding in this country is well on track. Rod and the ultimate Dry Lakes racing machine. Land Speed Racing does not receive a lot of the media coverage that other racing events receive around the country but that certainly doesn’t stop the competitors from heading to South Australia’s Lake Gairdner each year. Competitors vie for bragging rights by attempting to achieve the highest possible speed with their particular class of vehicle over the measured mile. 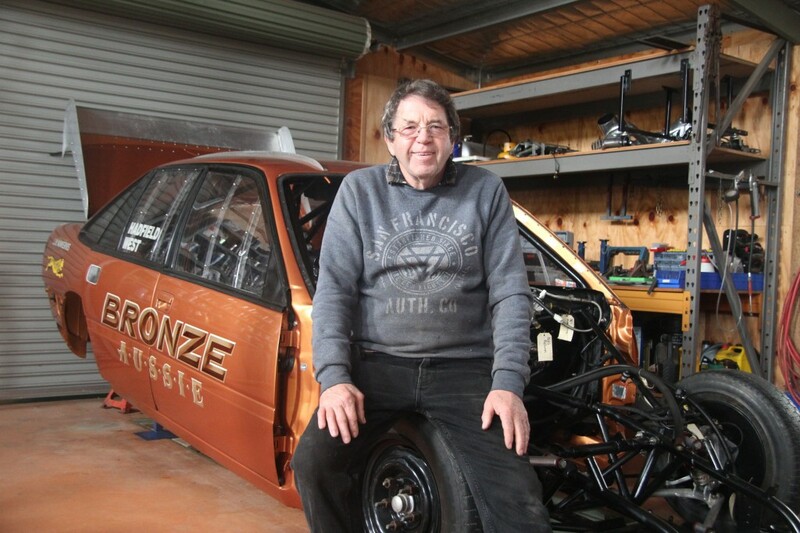 There are approximately 1400 Dry Lakes Racers Australia members and Rod is one of the founding members as well as long-time secretary and treasurer. Rod was the first man in Australia to go 200mph on the salt flats of Lake Gairdner in a vehicle powered by a motor fully built by his own business. In 2003 the VR Commodore sedan hit a staggering 259.067mph (418km/h). Despite setting the car alight in 2006 when oil leaked onto the exhaust and ignited the nitrous oxide bottle in the engine cavity – Rod has plans to take the family sedan to 300mph. “No one can really tell you what is going to happen so it takes a lot of experimenting. The event has encouraged competitors to set a lot of trends and write new rules,” says Rod. The event typically takes place in March each year when there is no water on the lake and winds are at a minimum.